“KITES, COAL PITS, AND CARNIVAL: A BAILDON WALKERS ARE WELCOME “SECOND SATURDAY” GUIDED WALK. Meet Chris and Mervyn Flecknoe at The Potted Meat Stick in the centre of Baildon (adjacent to the Ian Clough Hall car park / BD17 6LX) for a circular walk with a bit of history about our industrial heritage thrown in. Bring a picnic and a kite if you have one, to enjoy at the top of the Moor by the trig point. This walks is of approximately 5 miles, with one significant, but not steep, ascents from Bracken Hall Green to the top of the Moor. 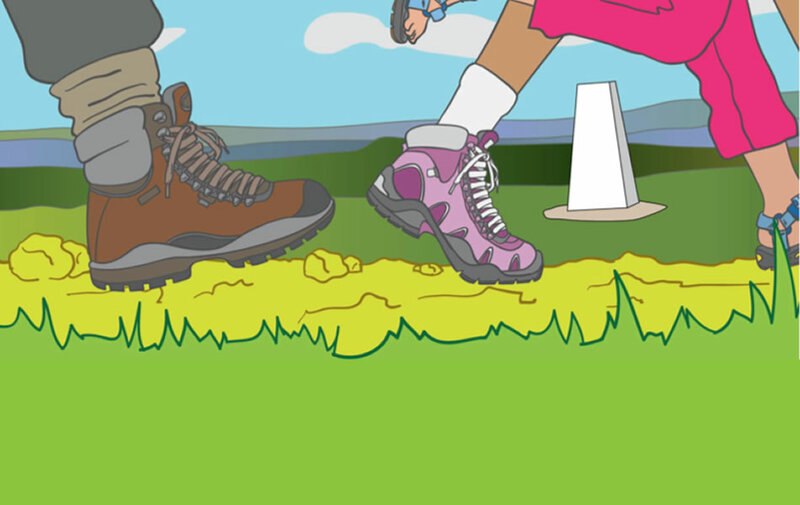 Please come dressed for all weathers and in walking boots or shoes with a good grip. Bring water to drink. Our Walks Leaders are not necessarily first aid trained, so please bring any medication or minor first aid equipment with you, plus water to drink and any snacks you may wish to nibble en route. Sorry – we cannot accept dogs (except assistance dogs) on our guided walks.